Born in Flers, lower Normandy, France, David Toutain began his distinguished career 15 years ago culminating in the opening of his own restaurant, Agape Substance which opened in Paris in June 2011. 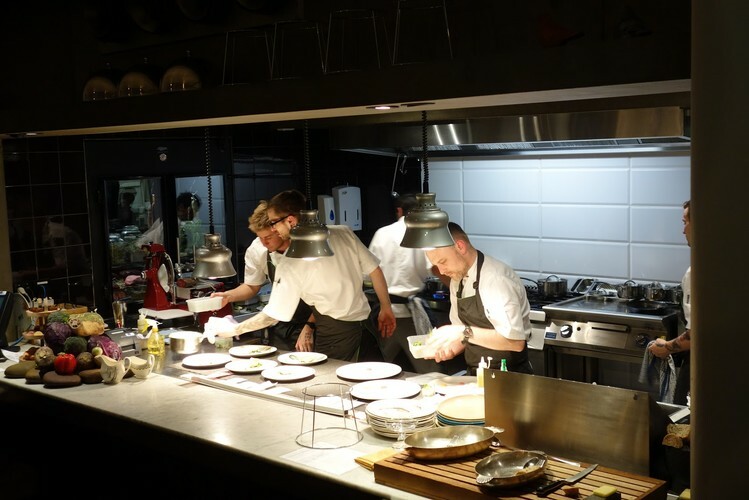 Along the way David worked in kitchens with world-renowned chefs including Alain Passard at L’Arpege, Paris, Marc Veyrat at La Maison de Marc Veyrat, Andoni Luis Aduriz from Mugaritz in Spain and Paul Liebrandt from the iconic New York restaurant Corton. Agape Substance is a 26 seater “countertop” restaurant with an open kitchen, allowing David direct interaction between diner and chef. David’s cooking has been labelled as “green futurist cuisine” using naturalism and Avant garde techniques. Of all the restaurant openings in Paris in recent years, David’s Agape Substance is the most talked about, praised and critiqued. David is visiting from Paris and will be cooking at Brooks with Nicolas Poelaert for three nights only. Both share a passion for herbs, flowers and plants and this will be shared with all in an unforgettable 8 course tasting menu matched with wines.